Uncategories Bird stamps from Belgium. Belgium, officially the Kingdom of Belgium, is a federal state in Western Europe. It is a founding member of the European Union and hosts the EU's headquarters, and those of several other major international organisations such as NATO. Belgium covers an area of 30,528 square kilometres (11,787 sq mi), and it has a population of about 11 million people. Straddling the cultural boundary between Germanic and Latin Europe, Belgium is home to two main linguistic groups, the Dutch-speakers, mostly Flemish (about 60%), and the French-speakers, mostly Walloons (about 40%), plus a small group of German-speakers. Belgium's two largest regions are the Dutch-speaking region of Flanders in the north and the French-speaking southern region of Wallonia. The Brussels-Capital Region, officially bilingual, is a mostly French-speaking enclave within the Flemish Region. A German-speaking Community exists in eastern Wallonia. Belgium's linguistic diversity and related political conflicts are reflected in the political history and a complex system of government. Historically, Belgium, the Netherlands and Luxembourg were known as the Low Countries, which used to cover a somewhat larger area than the current Benelux group of states. The region was called Belgica in Latin because of the Roman province Gallia Belgica which covered more or less the same area. From the end of the Middle Ages until the 17th century, it was a prosperous centre of commerce and culture. 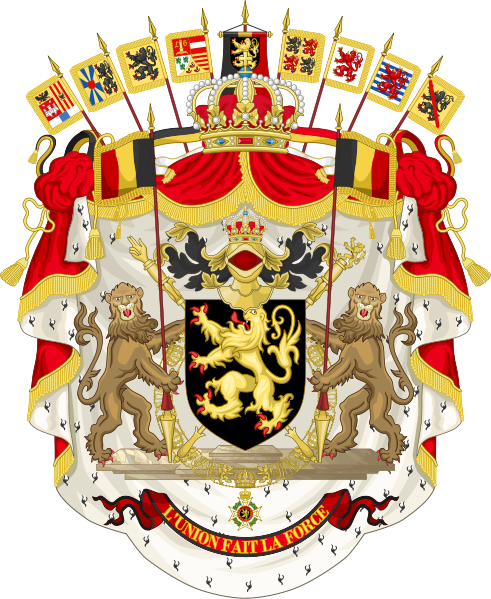 From the 16th century until the Belgian Revolution in 1830, when Belgium seceded from the Netherlands, many battles between European powers were fought in the area of Belgium, causing it to be dubbed the battleground of Europe, a reputation strengthened by both World Wars. 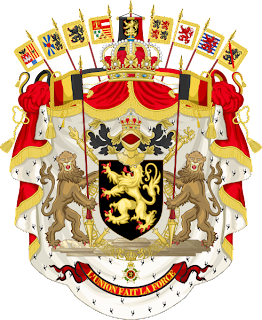 Upon its independence, Belgium participated in the Industrial Revolution and, during the course of the 20th century, possessed a number of colonies in Africa. The second half of the 20th century was marked by the rise of contrasts between the Flemish and the Francophones fuelled by language differences on the one hand and an asymmetrical economic evolution of Flanders and Wallonia on the other hand. These ongoing conflicts have caused far-reaching reforms of the formerly unitary Belgian state into a federal state and a very long political instability.